A trendy pick for your girl, this t-shirt features drop shoulder style 3/4th sleeves and a round neckline. 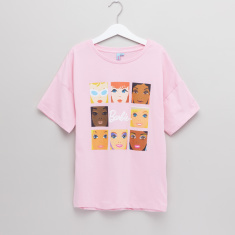 The front of the t-shirt highlights an impressive Barbie print that sums to the look of the piece. 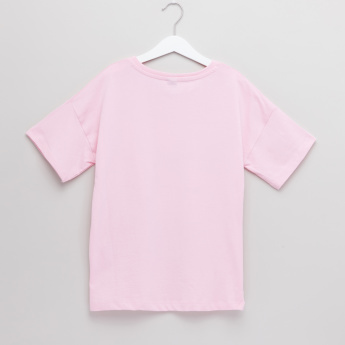 Tailored with fine fabric, it ensures unmatched comfort.